An open source investigation published on Wednesday by Amnesty International (AI) says the Saudi and UAE-led coalition and Houthi group have committed international humanitarian law violations against civilians in war-torn Yemen since four years. The investigation, "When arms go astray: Yemen's deadly new threat of arms diversion to militias," shows, among other critical facts of Yemen conflict, how the UAE has become a major conduit for armored vehicles, mortar systems, rifles, pistols and machine guns, which are being illicitly diverted to unaccountable militias accused of war crimes and other serious violations. It dubs Giants Brigades, Security Belt and Shabwani Elite in south Yemen as 'militias'. Based on publicly available data, the investigation said "a coalition of Arab states – led by the Saudi Arabia and the United Arab Emirates, and supplied by the United States of America and many European states – is violating international humanitarian law, including by bombing residential areas, hospitals and markets. "The Houthi forces also are committing violations, firing imprecise weapons into civilian neighborhoods, using advanced missiles to target civilian towns in Saudi Arabia, and planting internationally banned anti-personnel landmines. "Both sides have also obstructed desperately needed humanitarian assistance for civilians in need, and forcibly disappeared, tortured and otherwise ill-treated detainees. "Caught in between, thousands of civilians have been killed and millions are at risk of famine. "During the most recent offensive preceding this ceasefire, Houthi forces embedded themselves in civilian areas, mined routes out of the city and militarized hospitals, while Coalition attacks pounded the city, including al-Thawra Hospital on 11 November 2018, prompting hundreds of patients and staff to flee in terror. While the Coalition, led by Saudi Arabia, has been leading on air strikes, the UAE has steered the ground offensive. "The intermittent fighting for the control of the port has slowed vital supplies of humanitarian aid from reaching the starving country and triggered a massive exodus of nearly one million civilians from the Hodeida governorate," reported the London-based Amnesty International. The conflict escalated after a Saudi-led coalition intervened militarily in the country in March 2015 to reinstate the government of President Hadi, triggering hard humanitarian conditions and the world's worst humanitarian crisis, according to the UN, while leaving most population in need for a type of humanitarian aid and immediate protection. 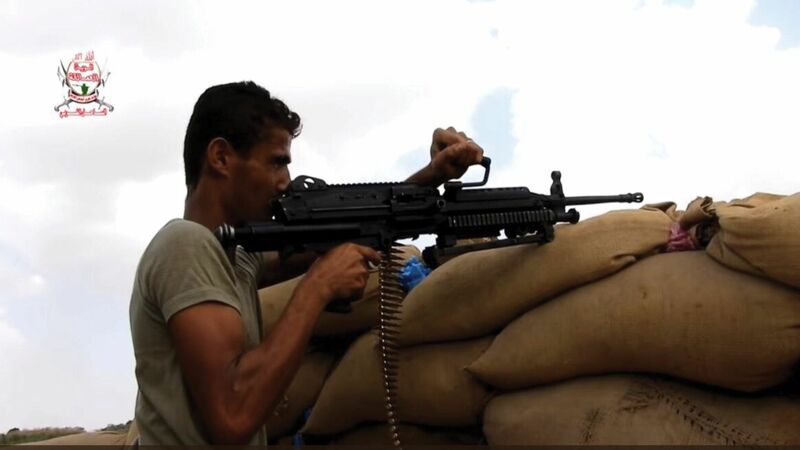 AI investigation highlights a growing danger in Yemen's conflict as the United Arab Emirates recklessly arms militias with a range of advanced weaponry. "While the USA, the UK, France and other European states have rightly been criticized for supplying arms to Coalition forces, and Iran has been implicated in sending arms to the Houthis, a deadly new threat is emerging. Yemen is quickly becoming a safe haven for UAE-backed militias that are largely unaccountable," said Patrick Wilcken, Arms Control and Human Rights Researcher at Amnesty International. "Emirati forces receive billions of dollars' worth of arms from Western states and others, only to siphon them off to militias in Yemen that answer to no-one and are known to be committing war crimes. The proliferation of these fighting forces is a recipe for disaster for Yemeni civilians who have already been killed in their thousands, while millions more are on the brink of famine as a direct result of the war." The armed groups on the receiving end of these dodgy arms deals – including 'The Giants', the Security Belt and Elite Forces – are trained and funded by the UAE, but are not accountable to any government. Some of them stand accused of war crimes, including during the recent offensive on the port city of Hodeida and in the UAE-backed network of secret prisons in southern Yemen, added the investigation. According to publicly available data, AI says "since the outbreak of the Yemeni conflict in March 2015, Western states have supplied the UAE with at least US$3.5 billion worth of arms. Among them are heavy conventional weapons – including aircraft and ships – small arms, light weapons and associated parts and ammunition. "Despite the serious violations attributed to the UAE and militias it backs, the following states have recently supplied the Emiratis with arms: Australia, Belgium, Brazil, Bulgaria, Czechia, France, Germany, South Africa, South Korea, Turkey, the UK and the USA, among others. Amnesty International analyzed open-source evidence around the battle for Hodeida and found that military vehicles and weapons supplied to the UAE are now widely in use by militias in the ground. "A wide variety of US-supplied armored vehicles equipped with heavy machine guns, including M-ATV, Caiman and MaxxPro models, have been documented in the hands of UAE-backed militias Security Belt, Shabwani Elite forces and 'The Giants'. "Belgian Minimi light machine guns, also likely sold to the UAE, are being deployed by 'The Giants'. Other weapons used by UAE-allied militias in Hodeida include Serbian-made Zastava MO2 Coyote machine guns and the Agrab armored-truck-mounted Singaporean 120mm mortar system – the UAE is the only country known to purchase this combined weapon system." AI stated that "elsewhere in Yemen, the UAE has directly trained and funded militias including Security Belt and Elite Forces, which operate a shadow network of secret prisons known as 'black sites'. "Amnesty International and others have previously documented these forces' role in enforced disappearances and other violations at these facilities – including detention at gunpoint, torture with electric shocks, waterboarding, hanging from the ceiling, sexual humiliation, prolonged solitary confinement, squalid conditions and inadequate food and water. The UAE-backed militias running these black sites wield Bulgarian rifles and drive US armored vehicles. "The UAE has established a whole security structure parallel to that of the Yemeni government in southern Yemen. While factions and militias within this structure are trained, funded and equipped by the UAE, these militias are characterized by infighting and competing agendas." AI recalled that "many of the states that continue to supply arms to the UAE are party to the global Arms Trade Treaty. Some have other legal obligations as EU members or under domestic laws not to transfer arms being used to commit war crimes. By persisting in transferring arms to the UAE, despite overwhelming evidence those arms are being used in war crimes and other serious violations in Yemen, they are flouting these obligations." "As the next round of peace talks on Yemen's conflict looms, arms-supplying states need reflect hard on how their arms transfers are continuing to directly and indirectly fuel war crimes and other serious violations. The proliferation of unaccountable, UAE-backed militias is worsening the humanitarian crisis and posing a growing threat to the civilian population," said Patrick Wilcken, Arms Control and Human Rights Researcher at Amnesty International. "Only a handful of countries have done the right thing and stopped the conveyor belt of arms to the Yemen's devastating conflict. Others must follow in their footsteps or they will share responsibility for the devastating toll these billions of dollars' worth of arms transfers are wreaking on civilians in Yemen."